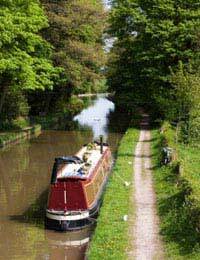 Home > Rules & Regulations > Do I Need a Licence To Live on a Boat? You will almost certainly need some kind of licence if you intend to live on a boat although the type of licence will vary depending on different circumstances. These licences will allow you remain static on the water or to cruise around and to keep your boat on the waterways. Depending upon where you intend to live on your boat and the places you may (or may not) intend to cruise, there are different authorities which you’ll usually need to approach to obtain the correct licence. Therefore, depending on where you are intending to moor your boat, you’ll need to contact the relevant authority as they each have their own registration and licensing arrangements. It’s not always that straightforward either. For example, some reservoirs have their own licensing arrangements and there has recently been a new ‘Gold Licence’ issued which covers the waters belonging to both British Waterways and the Environment Agency. The cost of licensing your boat will also differ between each operating authority and is also dependent upon how long your craft is going to be on the water each year. For example, shorter term licences are available for pleasure boaters only intending to use their boats for a specified number of weeks or months per year. Once again, you’d need to contact the relevant licensing authority to find out more. Although the rules and regulations surrounding boat licensing might seem a bit confusing and you may feel that one specific licence might not be adequate for how you intend to use your boat, the best thing to do would be to contact each of the licensing authorities mentioned above and discuss your intended plans with them so that they can direct you into buying the correct licence. Hello We have a mooring off the canal, on a private 'millstream' in the uk. We have not used the canal since august 2018 as the boat has remained on the mooring. But would like to use it again now. I can only renew my license online from august 2018. Have I done something wrong- was I supposed to license it all that time? Or was I correct to think that off the main system, I did not. Help! Hi there. We have a homeless person now living on a boat on the Medway river. It is only a small boat, the engine does not work and he has no electric, gas or running water. The boat was kindly donated to him and his dogs after constantly being harassed and have his tent and belongings trashed. He has no moorings and the boat is tucked away out of sight. Himself and the dogs are so happy now. But is this all allowed? Or does he need to have certain paperwork? It would be so sad to see them back on the streets and feel vulnerable again. Thank you ? ?